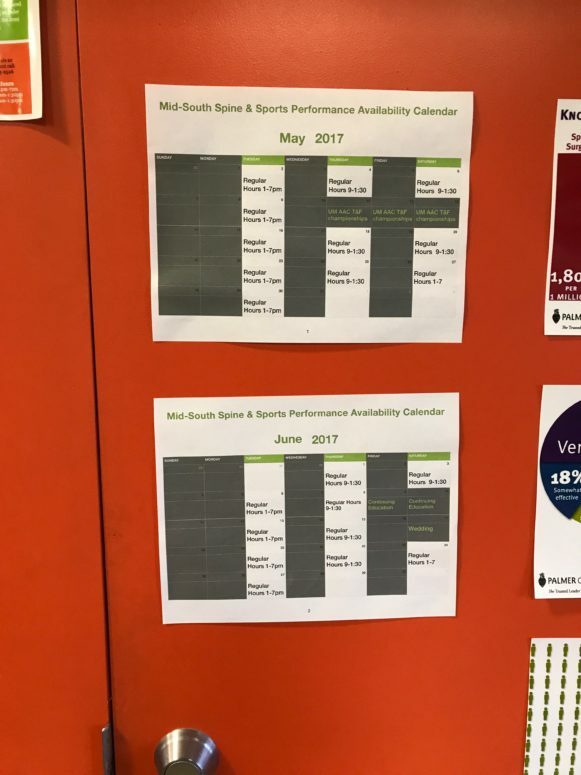 How to Stay Up-to-Date With Mid-South SSP! 1) T-Shirts Are Still For Sale! 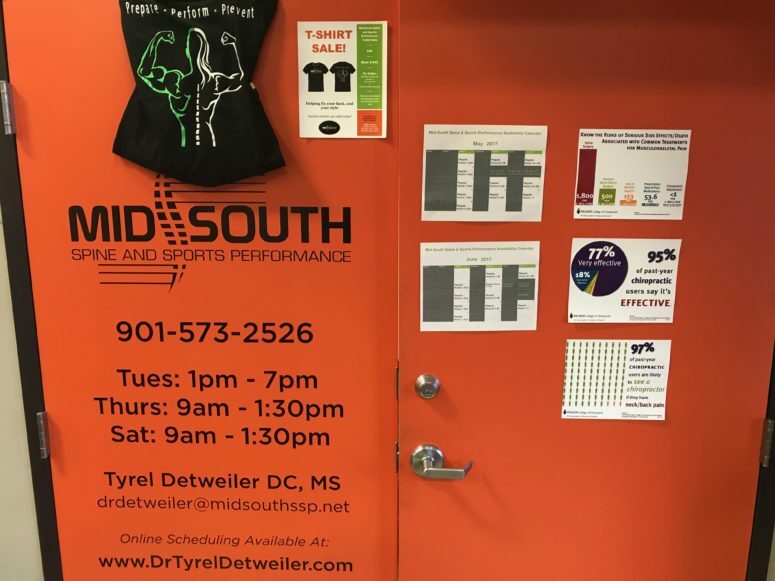 Want to get your hands on some awesome Mid-South SSP gear? You still can! We still have some Mid-South Spine and Sports Performance T-shirts left for purchase. Want to know what the shirts look like? check out the one hanging on our office door! We will be selling the shirts on sale for $20 in order to try and make room for summer tank tops! sing the office sometimes. On top of participating in continuing education, I will also begin teaching seminars for Reflexive Performance Reset throughout the month of July. In order to avoid any kind of confusion with the summer office hours, I’ve posted the hours month by month on the door. I appreciate your understanding and for working around the busyness of the summer. One of our biggest focuses this summer is to provide more and more chiropractic specific content to help educate our current and future patients on little known facts of chiropractic. I realize that there are often a lot of questions and confusion about the chiropractic profession as a whole, and hope to help shed some light on a few of those subjects. So how can you learn more about chiropractic? 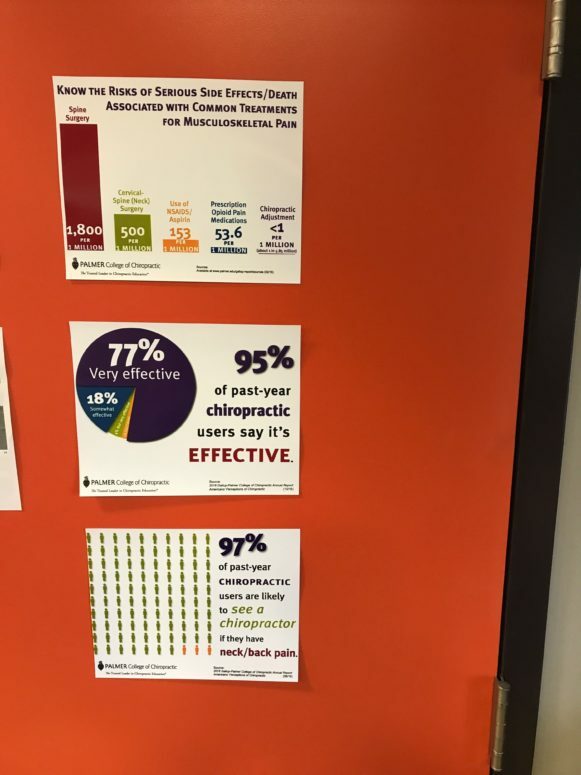 Take a few seconds during a rest period to check out some of the infographics on our door about chiropractic. Everything about chiropractic from schooling, to risks and benefits of care, to public perceptions of chiropractic can be found here! Keep paying attention as we add more and more infographics over the summer!